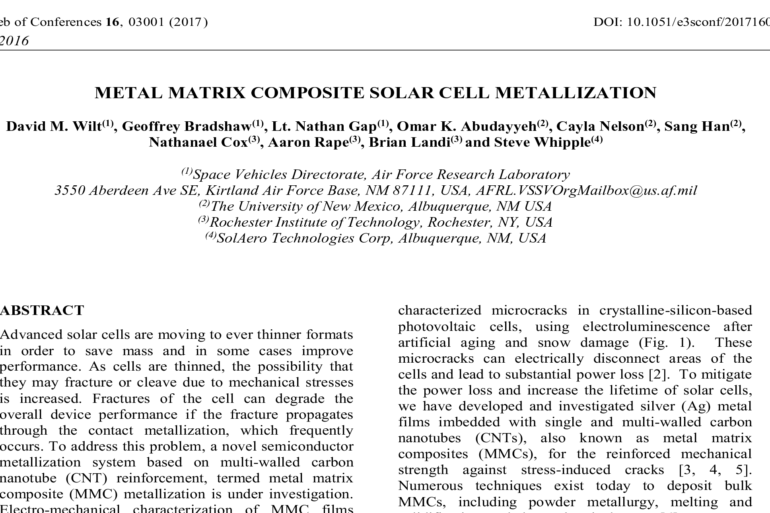 In this paper, multiwalled carbon nanotubes are being investigated for mechanical reinforcement of metal contacts on inverted metamorphic multijunction solar cells. 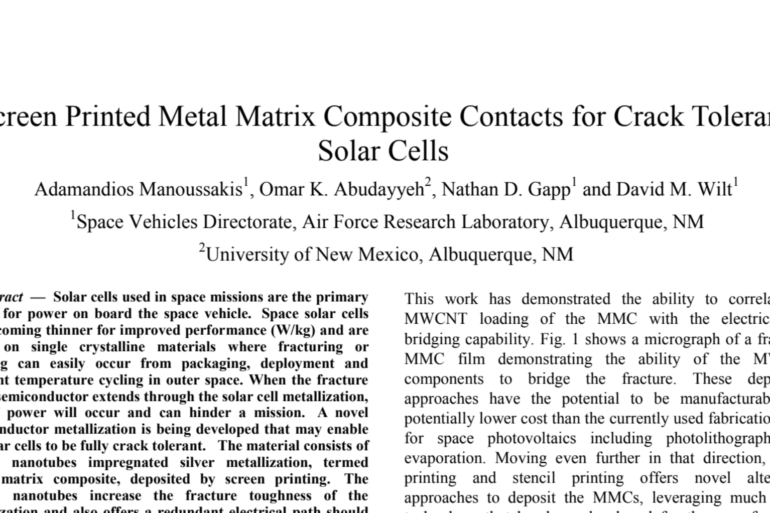 We have focused on a silver-carbon-nanotube layer-by-layer microstructure for this study. 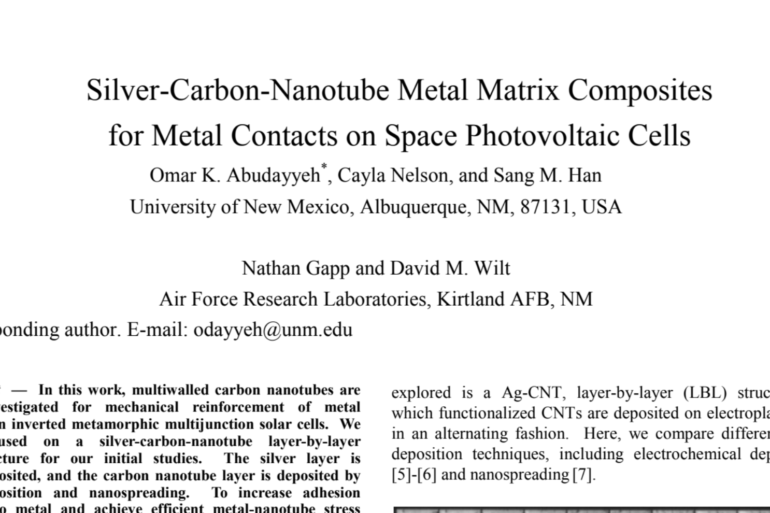 The silver layer is electrodeposited, and the carbon nanotube layer is deposited by various methods, including electrodeposition, nanospreading, and drop casting. 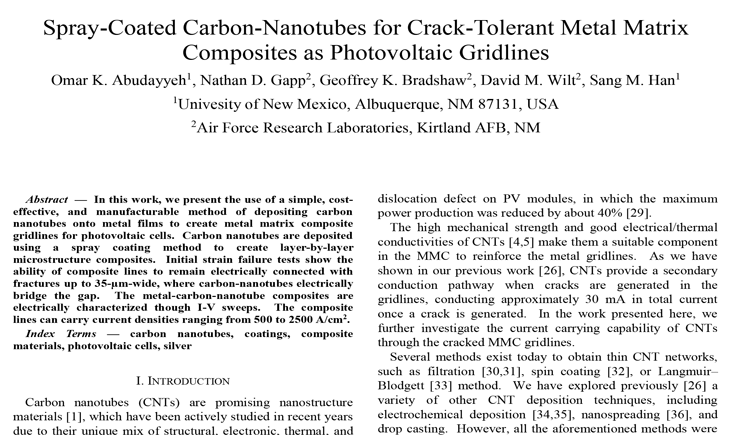 To increase the adhesion strength to metal and achieve efficient metal nanotube stress transfer, carbon nanotubes are chemically functionalized with carboxylic or amine groups prior to deposition. 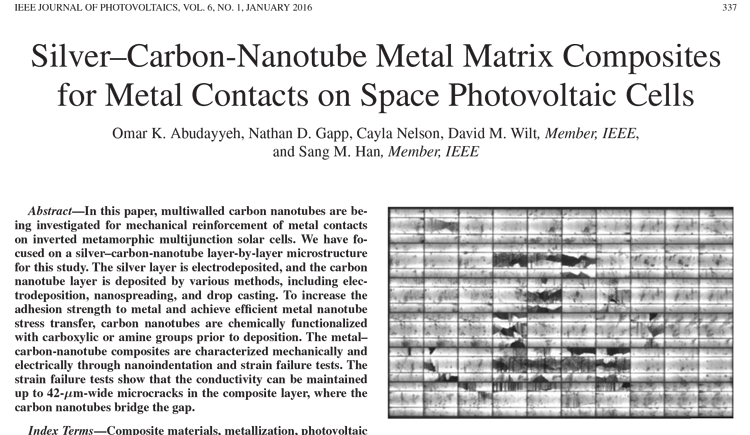 The metal-carbon-nanotube composites are characterized mechanically and electrically through nanoindentation and strain failure tests. 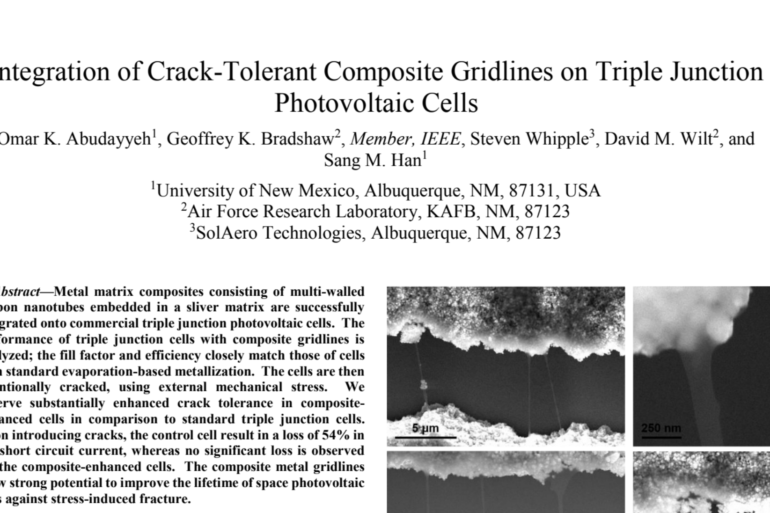 The strain failure tests show that the conductivity can be maintained up to 42-μm-wide microcracks in the composite layer, where the carbon nanotubes bridge the gap.